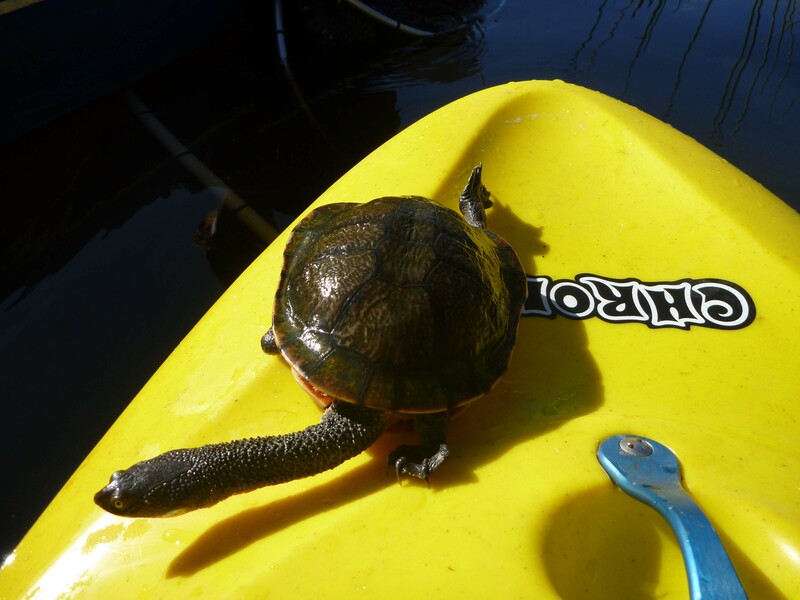 Turtles, fish and other aquatic life is thriving at Glenbrook Lagoon, – once the most polluted waterway in the Blue Mountains, – thanks to a successful seven-year restoration program involving the local community and funded by Council’s Environment Levy. 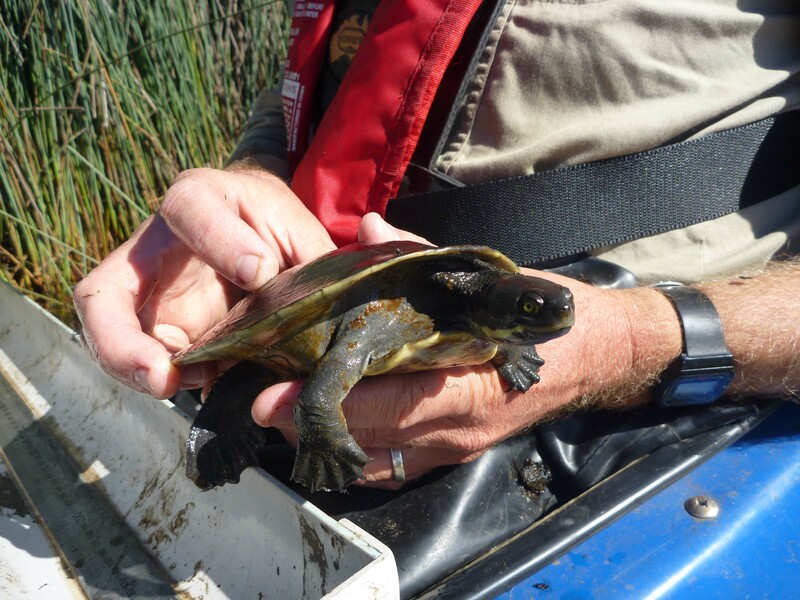 Recent surveys of the lagoon, conducted by Council, have revealed healthy populations of Eastern long-necked turtles, Flat-headed gudgeon, Australian smelt, eels and catfish. Pollution-sensitive water insects that have not been seen in the lagoon for many years are also on the rise, – which means water quality is improving. Above the water line, local residents have reported that the lagoon is looking more ‘alive and inviting’ as the environment recovers. Less than a decade ago, Glenbrook Lagoon was in poor shape, acting as a sink for stormwater runoff from surrounding neighbourhoods. High levels of water pollution led to an explosion of two aquatic weeds – Cabomba and Salvinia – which were literally choking the lagoon to death. Cabomba and Salvinia are Weeds of National Significance, – members of Australia’s ‘most wanted’ list of invasive, destructive weeds. Cabomba, – an aquarium escapee, – is particularly virulent, and posed a potentially serious threat to Sydney’s nearby water supply, as well as waterway health, fisheries, recreation and tourism downstream. Since the mid 1990’s, Council has been working on a long-term project to bring Glenbrook Lagoon back to life; installing systems to reduce stormwater pollution, combatting noxious weeds in and around the lagoon, replanting native species, supporting local Bushcare and Clean Up Australia efforts, and raising community awareness. In a national first for such a large natural water body, the Council has cleared 99.9% of Cabomba and Salvinia. Water quality is improving, bushland habitats around the lagoon are steadily recovering and less pollution is flowing into the lagoon. The Council is also continuing to monitor the lagoon’s status. To fund Cabomba control, the Council secured a $280,000 Caring for Our Country grant from the Federal Government, with $200,000 in matching funds provided by Council’s Environment Levy. The Council’s Environment Levy raises around $1.5 million annually from Council rates and funds projects to restore local creeks, improve water quality, control noxious weeds, protect endangered species and improve walking tracks across the City. 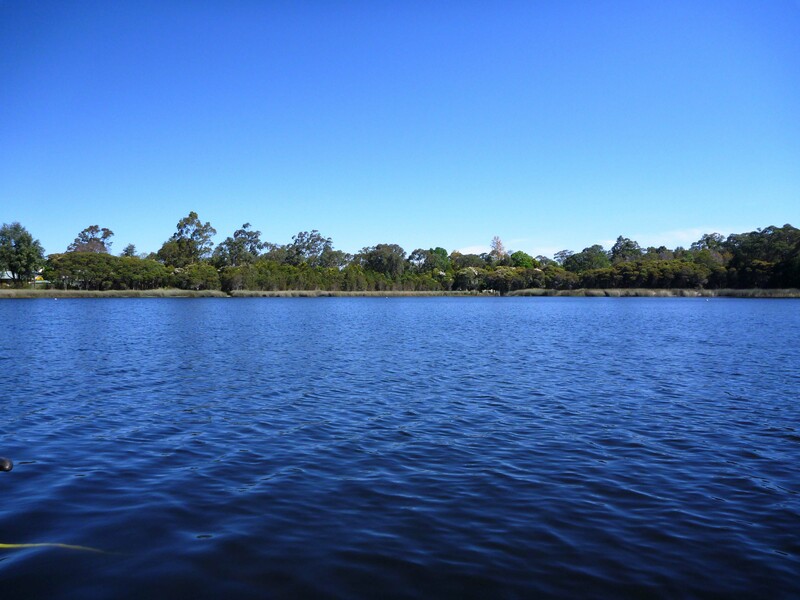 This entry was posted in Fauna, News, Resources, Weeds and tagged Cabomba, Glenbrook Lagoon on 5 September, 2014 by Bushcare Office.